I get these kind of questions from new home schooling mamas often. They’re excited to start homeschooling. Especially when they’ve been following all those beautiful home schooling feeds on Instagram. It looks so romantic and idyllic. It looks so magical and creative. It looks like everything that childhood and education should be. But as inspiring as those images are, any one new to home schooling could easily come away from them feeling a little, or a lot, lost. Because, what those lovely images don’t provide are the nitty gritty details of what to do with your 5 year old everyday. Outside of nature walks, tea parties, and reading books, that is. So I thought I’d do my best to provide some helpful details and encouragement for those of you just starting out. I don’t claim to be an expert on schooling any kids (even my own). And the ideas I share are shaped by my belief that the early years of education should be heavy on play and making learning fun, and light on academics. And they should, in fact, include plenty of nature walks, tea parties, and reading books. But if you are ok with all that, let’s get started! Now I know you’d like me to give you a list of activities to do with your child, and a list of books to read. And maybe post a sample schedule or two. You think that’s all you need to get going on this journey. But I’m not starting there. Instead, I’d like you to sit back for a minute and stop worrying about curriculum and schedules and activities. Instead, think about why you are home schooling. Not how you will you home school. If you haven’t done it already, spend some time now developing your philosophy of education. Next think about these early years. What is the purpose of education in the early years? 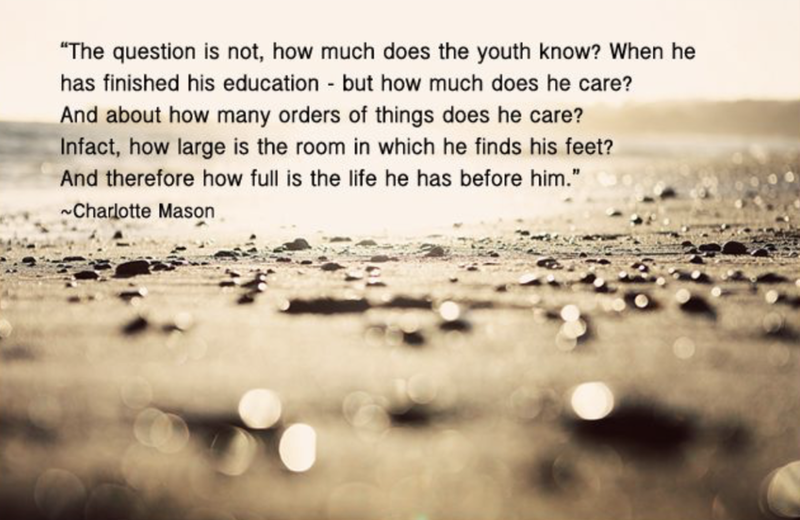 What are the most valuable things for a child to gain at the start of their education? And what goals do you have for your child as they begin their school career? For me, the answer is less about learning to read by age 6, knowing their colors, and being able to do simple addition and subtraction. My goal is something less concrete. But it is something that will set the stage for the rest of their educational career. For the rest of their life, in fact. You see, I want to start my children off by falling in love with learning. I want to light the fire in their minds and hearts. I want them to give them a yearning for learning. So for me, the early years are all about making learning beautiful, exciting, rich, and even fun. I’m not sure why, but there is this idea that school shouldn’t be fun. Or at least not too fun. Because school should be work. And work is not fun. But I think we are doing a great disservice to our children when we embrace that idea. Because learning can, and should be fun. It should be a joy! So, yes, the early years of learning should be full of fun. They should be rich with play. Play time is not wasted time. Play time is when children learn. This quote, from author and child development expert, Nancy Carlsson-Paarticle, supports what I know to be true based on memories of my own early education, of watching my own children learn, and the simple, yet profound intuition found in my own heart. I am my children’s mother, and I know how they learn best. In America, play time is becoming less and less a part of the academic day. It used to be that kindergarten was largely about play time. Now, even some pre-schools are limiting play time for their 3 and 4 year old students. This is a tragedy for young learners. I’ve spent a good amount of time researching the value of play in early education and am greatly inspired by the schools in the Denmark and Finland. Formal academics there don’t begin until age 7. This is the kind of motto I want to embrace as I teach my own children. Yet, how often have I struggled with feeling that my children were behind their peers academically. And of course I then felt I was doing a poor job educating them. I must constantly remind myself that there are a host of things my children are doing well, and even excelling at. I must remember that giving them a joyful attitude toward learning, especially in the early years, is as worthy a goal as is achieving academic excellence. The reality is that because I place such a high value on play in the early years of schooling, things at my house are going to look quite a bit different than at the traditional elementary school in my neighborhood. I have to be ok with that. I have to be ok with late reading, and messy handwriting, and children who are not up to grade level in all subjects. Of course I do require my children do their school work. But I also allow them more time with a concept or subject if they need it. I allow playing with Legos while I read aloud to them from a book. I consider a nature walk our science class for the day. I must remember my end goal of education is to create life long learners. And that happens when children are taught to love learning in the early years. As you enter these early years of educating your child, remember its about so much more than your daily schedule or learning those ABCs. Its about instilling a love for learning, and making that happen with play time and good books and time spent exploring out of doors. Now is your chance to give them the world! And thats enough educational philosophy talk, right? Here’s that list you’ve been waiting for! These are simple suggestions that you can start using tomorrow if you’d like. I’d create a loose schedule or rhythm for your days and week, and think about what things you’d like most to incorporate into your days. Start slow and start small. They are little, they don’t need a packed schedule. Remember to let them have fun and to let them play. I like to begin with the Bible, singing a hymn and poetry. “Leading Little Ones to God’ by Marian Schooland for devotion time with the younger elementary set. For hymn singing, we sing the same hymn for a whole month, and then pick a new one. You can find them on the internet, or find a hymnal at a used bookstore or Christian book store. “A Child’s Garden of Verses” by Robert Louis Stevenson is a must for your library. Just remember to keep the whole thing pretty short. Little ones don’t need long lessons. It is incredibly important that you give your children a love for books from the very start. Read every single day, all day, and make reading fun. Have a plethora of good picture books for them to read to themselves before they can read words. You can find those at used books sales, library book stores, garage sales. Find an excellent book list of picture books here. Don’t be afraid to read longer books to them, even when they are young, but provide ways to help them focus while they listen. Let them draw, play with legos or blocks quietly, or make it tea time and let them eat snacks and sip tea. Just a few of our favorite longer, read aloud, books are: “The Little House on the Prairie” books by Laura Ingalls Wilder, the “Ramona” books by Beverly Cleary, “The Hobbit” by JRR Tolkien, “The Chronicles of Narnia” series by CS Lewis, “Caddie Woodlawn” by Carol Ryrie Brink, “A Secret Garden” by Frances Hodgson Burnett, and “My Side of the Mountain” by Jean Craighead George, “Charlotte’s Web” by EB White and “A Cricket In Times Square” by George Seldon. More wonderful titles of read aloud books for the early years can be found here and here. Take them to story time at the library. Check out heaps of books at the library each week–make it a special day. Just remember to return them! Visit libraries with beautiful children’s sections and soak in the loveliness devoted to books. Visit book stores and spend time reading new books. Listen to audio books often. When you are too tired to read aloud without falling asleep, or need to make dinner let them listen to audio books. Listen to audio books in the car. You’ll be amazed at their capacity to listen to challenging books this way. Good narrators are the key to holding your child’s attention for longer, more complicated stories. Or invest in an Audible membership. It has been an invaluable resource for our family. There are so many activities you can do every day with your child that have nothing to do with work sheets or sit down lessons. And yet, they will be learning so much. Learning to care for the home–dusting, washing windows, cleaning baseboards and door frames, sweeping, and washing floors. 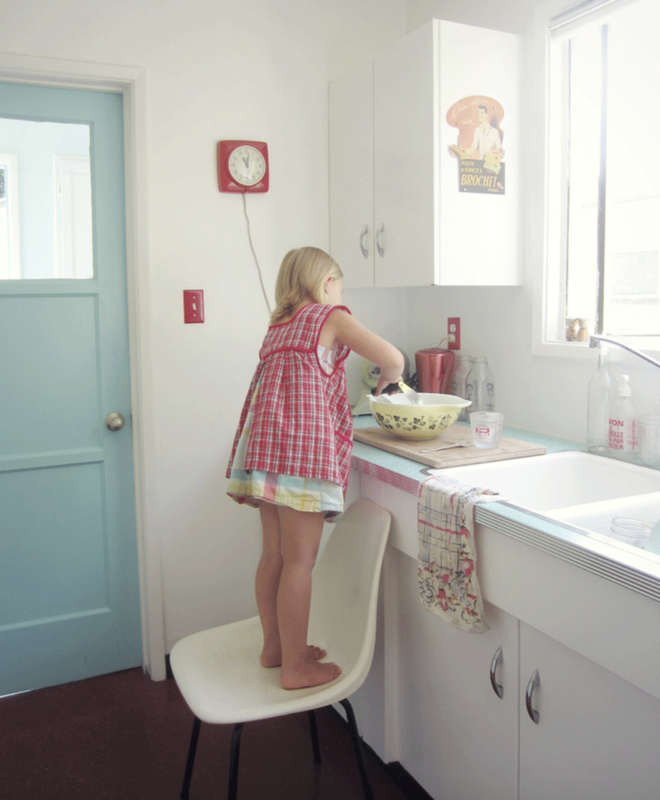 Young kids love chores! Nature walks –now is the time to train your children to hike. Start slow and build up their endurance as they grow stronger. You’ll be giving them a life long gift! Visiting nature centers, the beach, wetlands, wilderness parks, mountain trails, desert trails and anywhere else where they can run, climb, and see birds, plants, trees and animals. And I’m sure there are so many more things you can do with your kids in the first years of school. But I hope this is a good place to start! Please remember that one of the best things about home schooling is that education can be tailored to fit each child. That means if you have a child who is ready to read early, you teach him! And if he just wants you to read aloud to him because he isn’t ready to do it himself, you read aloud to him! There are kids who love worksheets and you should let them do some. Others would rather die than fill our worksheets. So have them practice writing in ways that isn’t so painful for them–draw in the sand, or steam up the mirror in the bathroom and write their name. In the end it is up to you to know your child and what lights that fire of learning in his heart. Be the match and get that fire going! Cheers to the early years!